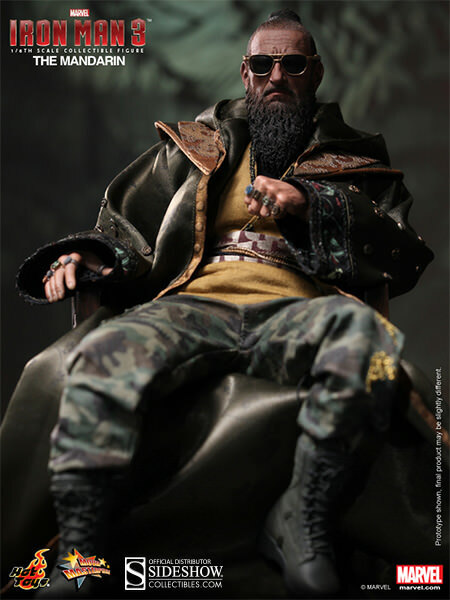 Fruitless Pursuits: Pre-Order Hot Toys Mandarin 1/6th Scale Collectible Figure! 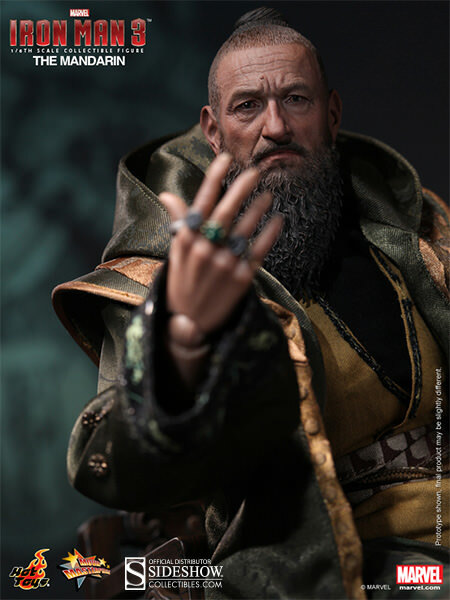 Pre-Order Hot Toys Mandarin 1/6th Scale Collectible Figure! 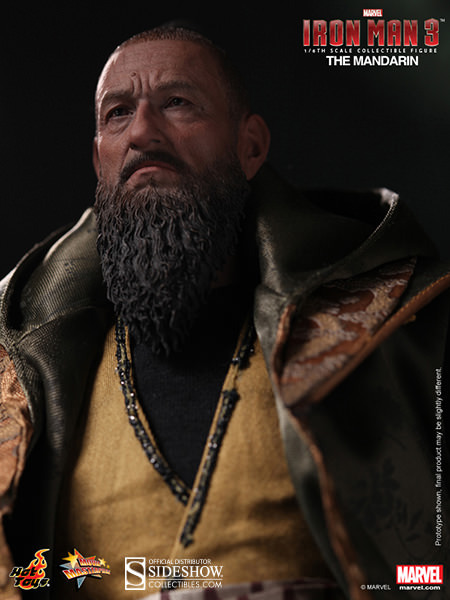 When Hot Toys first announced they were going to produce a figure of Ben Kingsley's portrayal of "The Mandarin" in Iron Man 3, there were a lot of tears before bedtime. It turns out that many fans didn't want clever satire about America's blind hatred towards evil foreign figureheads and how they are used to distract the populace from what is really going on behind the scenes. No, fans wanted to rally again an evil foreign figurehead. The devil you know I suppose. Some even suggested that the film Mandarin was a disservice to the fantastic character from the comics. 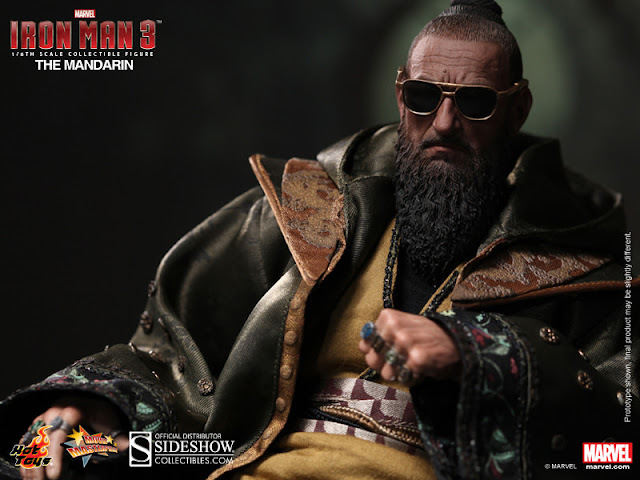 I would love to know which of these comics the Mandarin was fantastic in, because in all the ones I read he was a ridiculous racial stereotype. 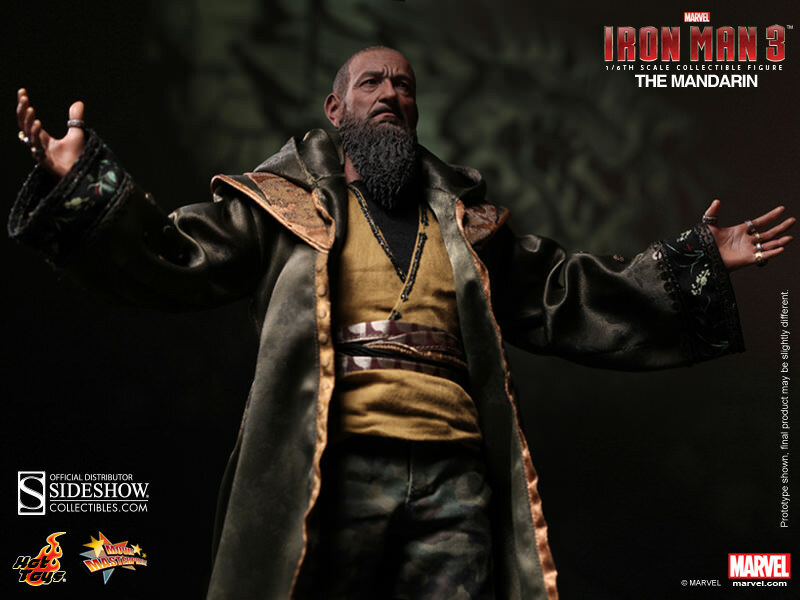 You can secure yours right here: Iron Man 3 - Hot Toys Sixth Scale Series The Mandarin - Iron Man 3 - Sixth Scale Figure Or join me for more images and commentary... after the jump! 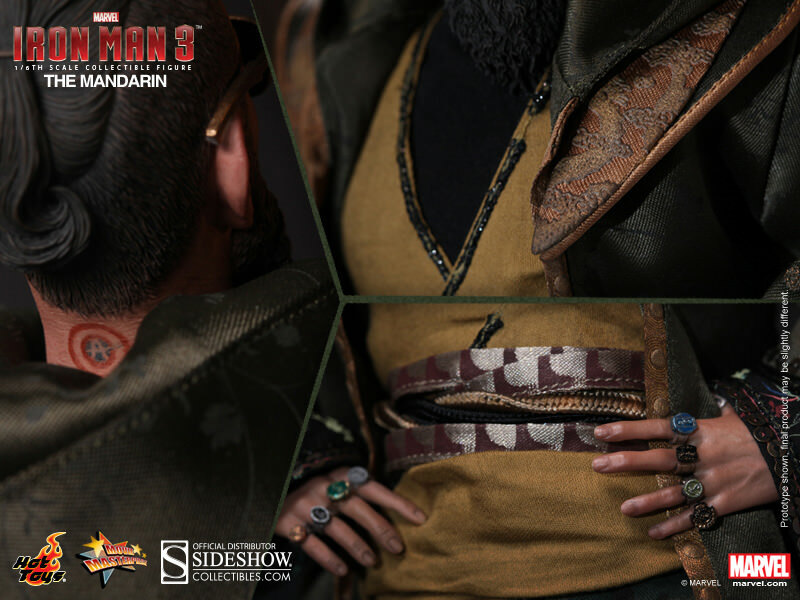 It definitely looks to be one of the more elaborate costumes we've seen in a while and Hot Toys usually nails this kind of stuff. Nice to see he's got a bit of movement to him too. And here's a closer look at some of the details including the embroidered dragons on his collar, his ten not-so-magic rings, and that inexplicable Captain America/Avengers tattoo we got a glimpse of in the trailer. Did they ever explain that? I guess maybe he's just secretly a fan. 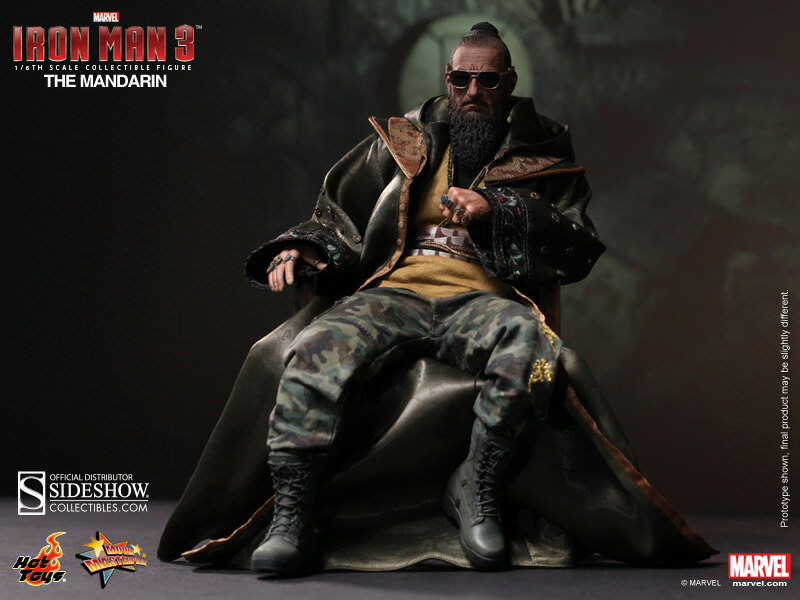 I'm sure reactions will be mixed but I applaud what Hot Toys have accomplished. 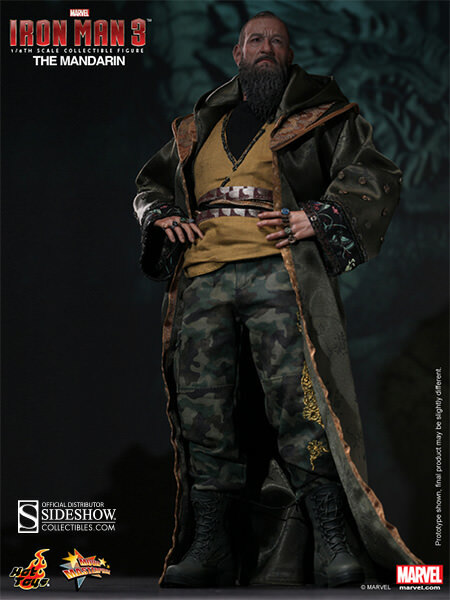 And here's more food for thought... Do you think Hot Toys even knew about the twist when they started work on this figure? My guess is that they didn't and it was just as big a shock for those guys. Where do you stand?